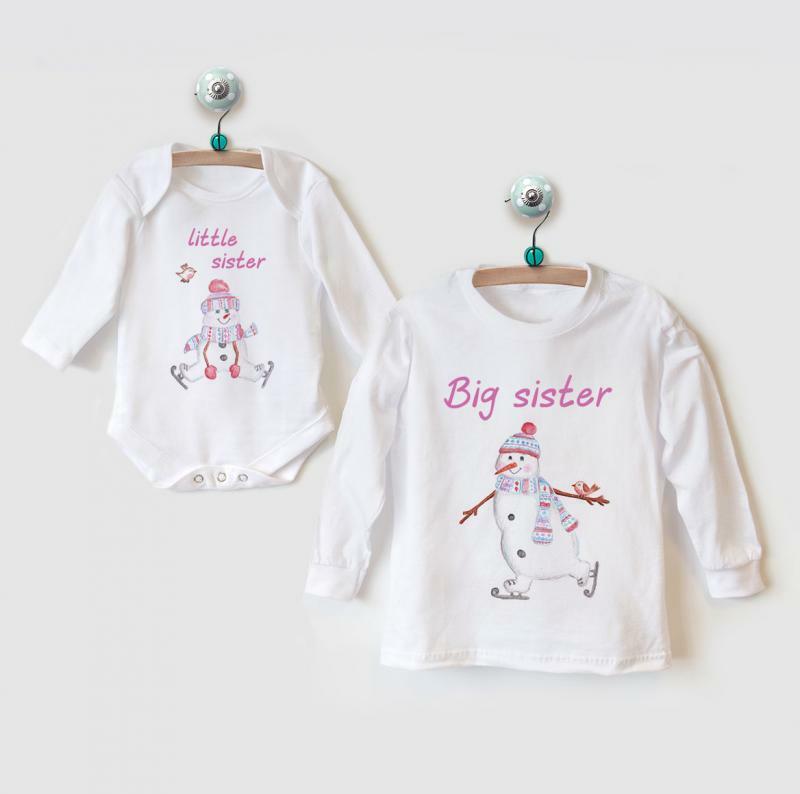 The most adorable christmas gift set featuring a soft cotton long sleeve t-shirt for a Big Brother or Sister, and a matching long sleeve baby grow for their new Little Sister or Brother! 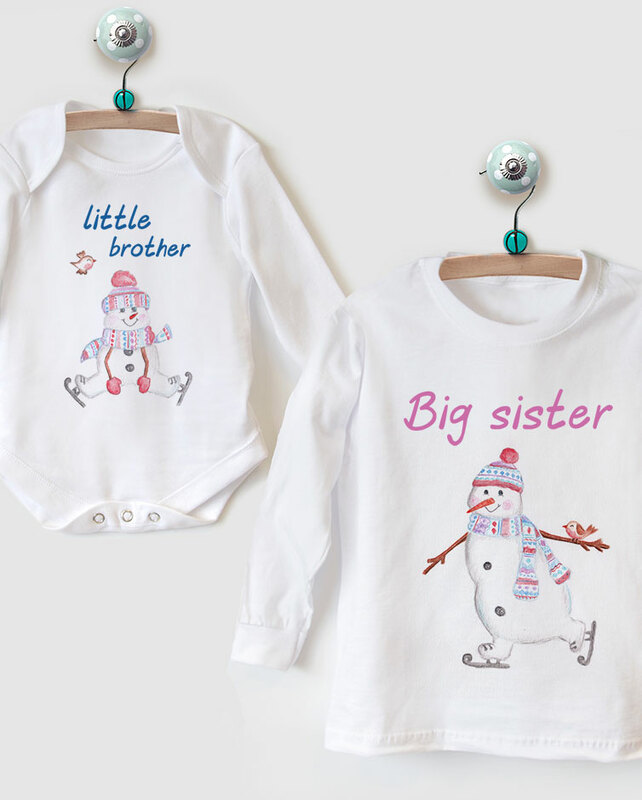 A perfect festive gift for a family welcoming a new baby onto the scene and to help their Big Brother or Sister feel included in the celebration! Long-sleeved toddler t-shirt with long sleeve babysuit in soft and stretchy 100% Cotton, with envelope neck line and bottom popper fastening.